Be it love success or growth a journey pendant symbolizes ones graduation over time. Five brilliant-cut round diamonds are bezel-set in a feminine zig-zag design. 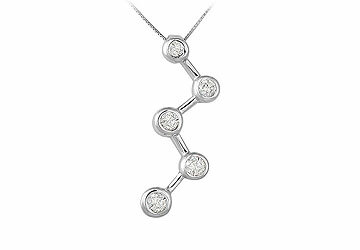 Made in 14K white gold this diamond journey pendant has a total weight (TDW) of 0.50 ct.